All classes are held in the Regional Library Computer Center (RLCC) of the Central (downtown) Library. All class times are 9:30 a.m-11:30 a.m. Presentations with Open Office: Requirements:Experience using a PC and a mouse. Space is limited. Registration will be handled on a first-come, first-served basis. If you registered for a class and cannot attend, please call the Center as soon as possible. No one will be admitted after 10 minutes past the time of class is scheduled to start. These classes are provided by the Jefferson County Library Cooperative. Basic Internet: Experience using a mouse and a PC. Presentations with Open Office: Requirements: Experience using a mouse and a PC. Spreadsheets with Open Office: Requirements: Experience using a mouse and a PC. To register for a class or classes, please call 205-226-3799 or 205-226-3798. Space is limited. Registrations will be handled on a first-come, first-served basis. If you register for a class and cannot attend, please call the Center as soon as possible. No one will be admitted after 10 minutes past the time the class is scheduled to start. All class times are 9:30 a.m.-11:30 a.m. Here you will find a listing of PC Magazine’s Best Free Software. An excerpt from PC Magazine Online. This simplest of Adobe’s PDF programs lets you do just about anything PDF-related (besides create new ones). One of the most widely used pieces of free software ever, AOL Instant Messenger offers a ton of capabilities. Whether you’re recording or editing, Audacity is all about audio in practically any format. The GNU Image Manipulation Program (GIMP) does most of what Photoshop does. When you’re attached to the top media player in the land (iPod), success is a given. iTunes continues to build sales and refine its organization of songs, video, games, podcasts, and more. You can spend a lot for Microsoft Office or nothing for this suite with full-function word processor, spreadsheet, database, presentations, even an equations editor. You’ll pay to call regular phones, but if you sign up all your friends, Skype provides easy (and even international) calls and video-conferencing for nothing. Mozilla’s no-cost e-mail alternative is extensible, fast, and easy to master. And a wealth of free add-ons means there’s not much this program won’t do, from calendars to encryption. This Linux-based OS comes with many of these Hall of Fame products (Firefox, OpenOffice.org) preinstalled. After a decade of playing music, the “skinnable” WinAmp has several versions, including one with full CD ripping and burning. 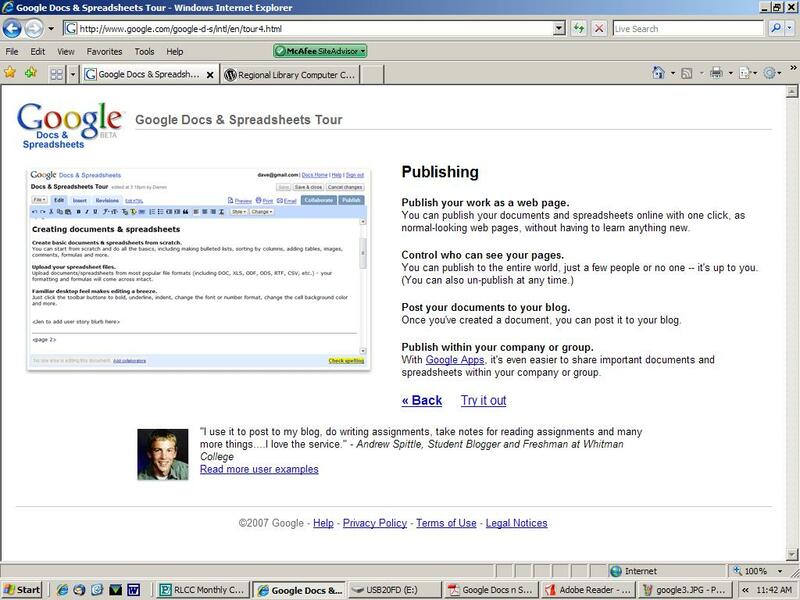 Everyone knows about Google the search engine but not everyone is aware that Google offers FREE web-based word processing and much more. It is true! 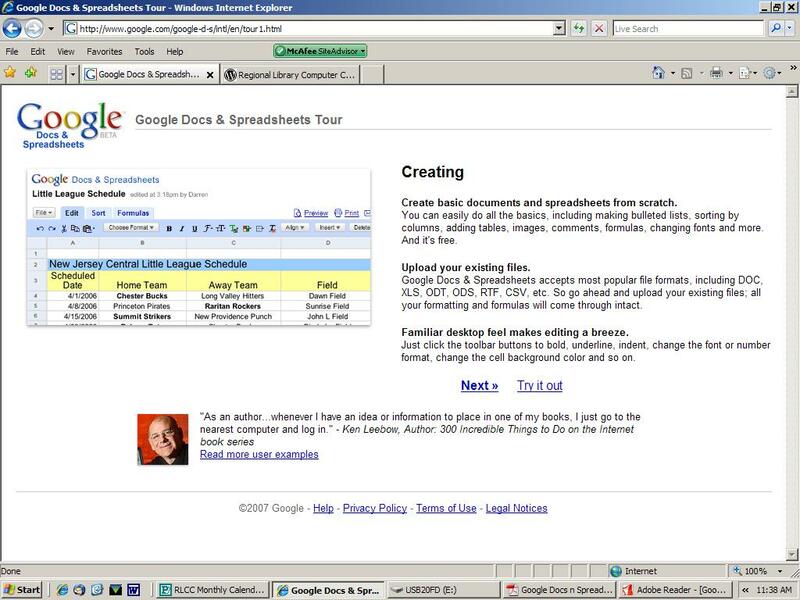 Google offers a web-based alternative to Microsoft Office or other office suites. When several people start sending documents back and forth to each other over the Internet, it is easy to lose track of what version of spreadsheet or word processor you are using. 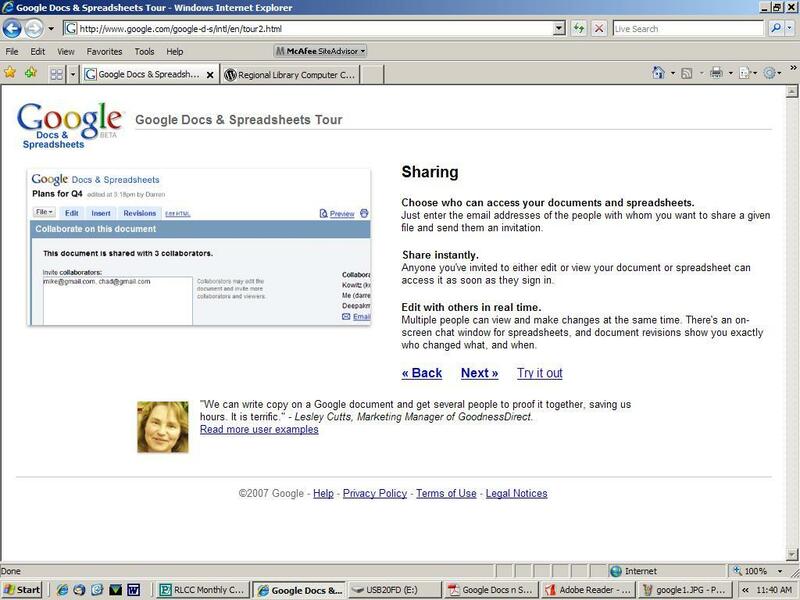 Google Docs and Spreadsheets keeps documents current and lets the people you chose update files from their own computers. Create basic documents and spreadsheets from scratch. Choose who can access your documents and spreadsheets. Control who can see your pages. Publish within your company or group. 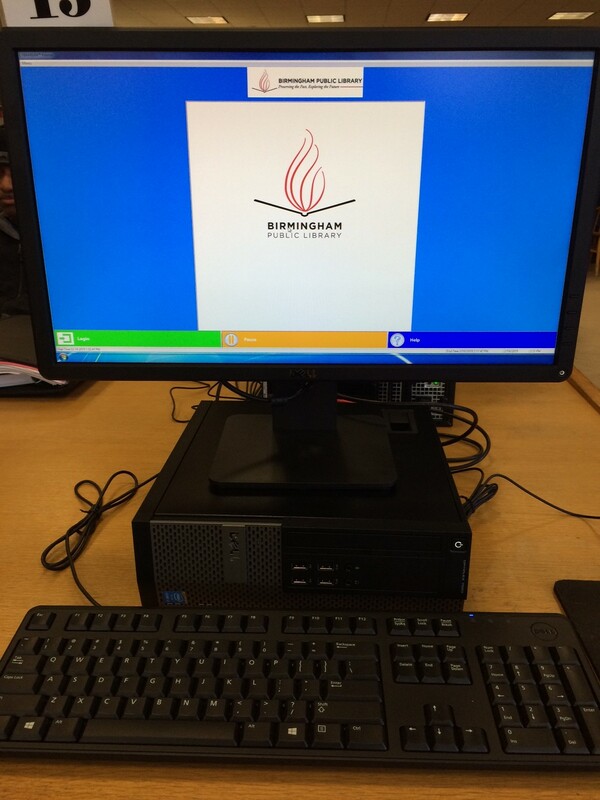 We offer several free computer classes to the public at the Regional Library Computer Center. The Birmingham Public Library is seperated into two buildings in downtown Birmingham. We are located on the third floor of the Linn Henley Research Building next to Linn Park. Here is our Class Schedule.